This month, the Alliance for Bangladesh Worker Safety, and the Accord on Fire and Building Safety both issued their first annual reports, providing an update on the work carried out on improving safety and working conditions in the country to date. just-style took a closer look. The group of North American brands and retailers - including Wal-Mart Stores, Gap Inc and VF Corporation - working to improve safety in Bangladesh's ready-made garment factories appears to be sourcing more products from the country as efforts to upgrade the industry take hold. But one year on, progress is "far from over", with the total cost likely to be in the region of $150m and take 12-18 another months to complete. More than 220 companies have now signed the Accord on Fire and Building Safety in Bangladesh following the collapse of the Rana Plaza factory building in Dhaka, which killed more than 1,100 people in 2013. 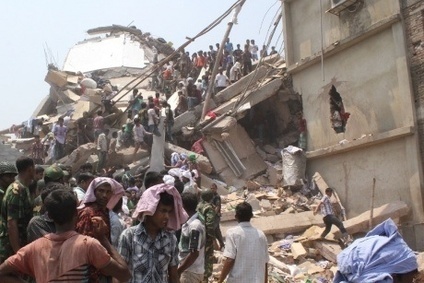 More than a year after the Rana Plaza disaster in Bangladesh and the Accord on Fire and Building Safety is calling on retailers and clothing brands to contribute more funding in order to complete its factory inspections. The American Apparel & Footwear Association (AAFA) is urging the US Senate to modify provisions of its Defence Appropriations legislation for Bangladesh to offer a more inclusive approach. The Accord on Fire and Building Safety in Bangladesh is continuing to look at ways to try to involve the country's leading garment trade associations in an effort to ensure the initiative's long-term success. Over a year after the collapse of the Rana Plaza building in Bangladesh, a BBC Two documentary aims to investigate the story of "the worst industrial disaster of the 21st-century". The IndustriAll global union has reiterated its call for more action from the Bangladeshi Government to create a safe and sustainable garment industry.